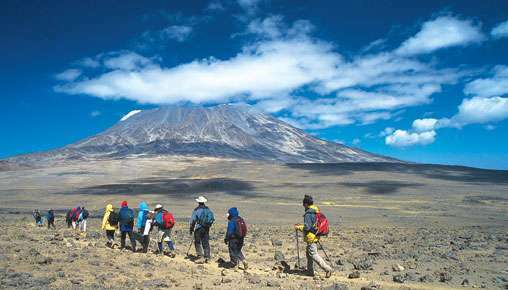 The majority of the Shira route follows the same path as the Lemosho route and approaches Kibo from the West. Your trek begins at the Shira Gate above the rainforest and near the Shira Ridge. The road to Shira Gate is only accessible by 4-wheel-drive vehicles and can become impassable during wet periods. 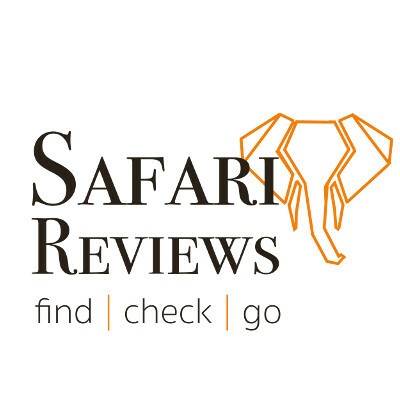 We would recommend the Lemosho route over the Shira route due to the additional acclimatisation day and the beautiful rainforest trek at the start. This route is typically completed in 7 days allowing for good acclimatisation. 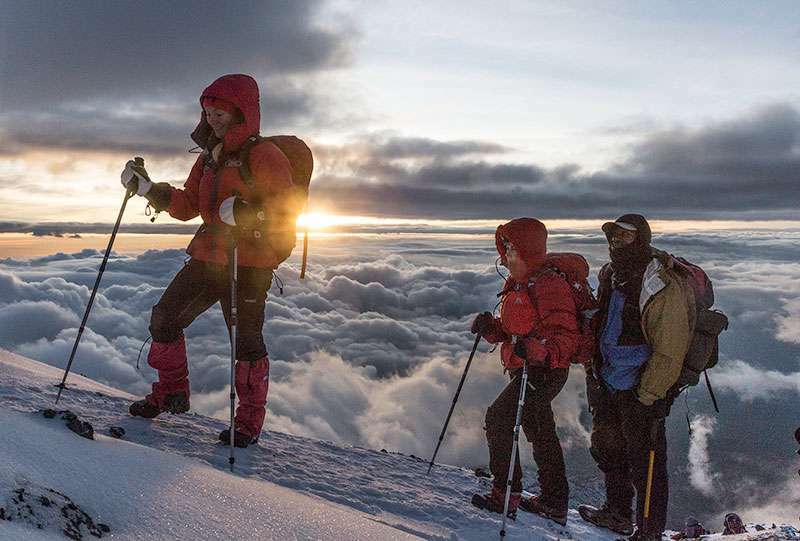 On the first day on the mountain, climbers begin their hike from 11,800 feet (3,600 m) and spend their first night at the same elevation at Simba Camp. 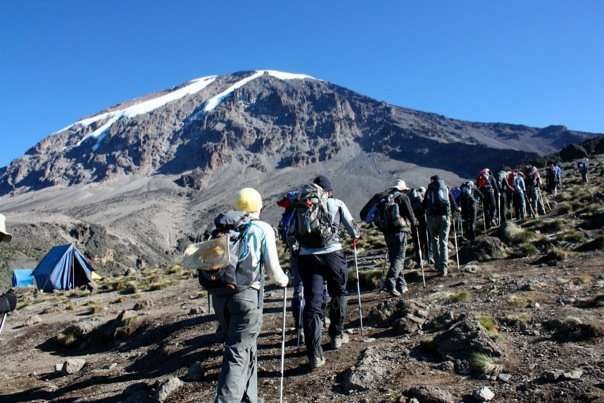 Then, the route merges with Lemosho at Shira 2 and follows the southern circuit route, traversing beneath the Southern Icefields before summiting from Barafu. 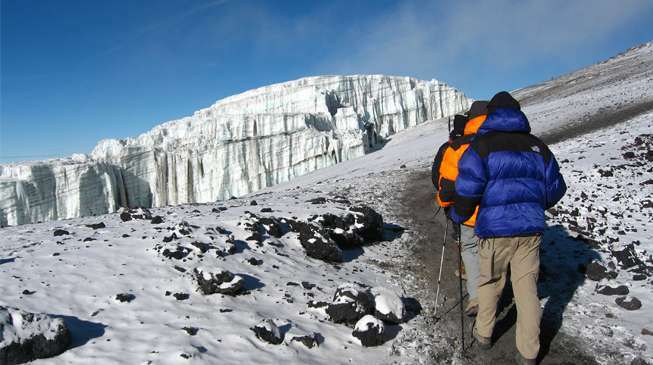 Descent is made on the Mweka route. 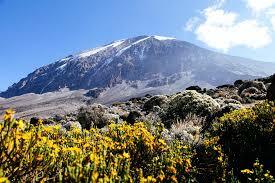 The Shira route is a path that approaches Kilimanjaro from the west, and is nearly identical to the Lemosho route. In fact, Shira was the original route and Lemosho is the improved variation. Shira certainly allows plenty of time for acclimatisation during the later stages, but some people can develop altitude sickness symptoms at those lower altitudes already. And catapulting yourself from sea level to a height above 3500 m/11500 ft the day after arriving in Tanzania may not be the smartest thing to do. For experienced mountaineers there is also a challenging and dangerous specialist version via the Western Breach.